One part of the revamp of the ebooks is to get them re-edited and tidied up. I didn’t do a great job with it for the first book and it shows. This is a work in progress. The next part on my list is to look hard at the covers. Now, I love my Apocalypse Blog covers (check the links under ‘My Books’ on the right to get to the books in stores). I have them printed out and laminated, and one day I’ll get around to sticking them to my wall. But I have to be realistic, and they could be better. There are things that could be improved. I like that they’re a matched set, but I wonder if that’s not a little dull? What would you think, as a reader and buyer of books? Also, the writing isn’t read very easily in the thumbnails displayed in ebook stores. And maybe it’s time for a change, something fresh. So I’ve been looking around at other book covers to see what’s out there in the post-apocalyptic realm. Trying to see what’s attractive and what might make them good covers. I like the simple, striking look of The Patient Z Files cover. 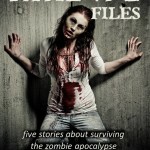 There’s no doubt that it’s a zombie book and it is just beautiful to boot. Also just as effective as a thumbnail. This is a great example of a good cover, I think. The bleakness of the Dahmer Flu image is very fitting for a post-apocalyptic book, and I like the figure that looks just a bit… wrong. 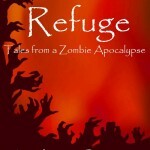 Refuge looks startlingly similar to the existing Apocalypse Blog covers. This is proof that the current covers aren’t a mile away from where they should be, but the clarity of Refuge’s text and the readability in a thumbnail are worth noting here. 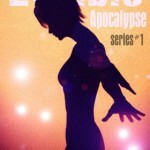 What I like about the Zombie Apocalypse cover is that it’s so different to everything else. Simple, gorgeous, and weirdly hopeful, which is not what you’d expect from this genre. Lots of ideas and potential there. But what should I go for in this revamp of the covers? Do I make them another recoloured set, or each one different? I’d like them to be a matched set in one way or another, and my pockets are not deep enough to pay for reams of new artwork. I would like the covers to reflect the different stages of the story. 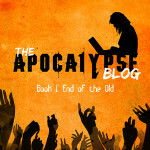 The crumbling world of Book 1, when Faith and her group are stumbling through the ruins and finding out just how bad things have become; the menace of the sickness and the shambling dead of Book 2; the determination of Book 3 when the group tries to forge a new life in the rubble and the acid. I’ve always said that I didn’t want Faith’s face on the covers (or in any other graphics for AB). I want her to stay the voice in the reader’s head, so it’s shots from behind for her, or silhouettes (I like silhouettes). I adore the silhouette with the laptop on the current covers – it is exactly Faith. But I’m also open to options. These are the thoughts in my head so far. I want something that will grab readers browsing through an online store by the eyeballs and make them click through to the book’s page. So what do you think? What do you think I should put on the covers? I like Zombie Apocalypse, + I think a style like that could be adapted for each book! The other 3 do nothing for me! OTOH, I love the AB covers! Keep the silhouette, at least! Hugs! Comment from back when I read it all in one-five sittings… months ago. I’d always thought it odd that it was a ‘blog’ but in an apocalypse. Typically power is nonexistent so what’s going on! Good point, Kunama, I hadn’t thought about that! Faith does have a laptop the entire time, and powers it using car batteries and any other power sources she comes across in her travels. I should make that clearer. I’ll be redoing the blurb for the books at some point, too, and that’ll be a good place to mention something like this. Thanks!